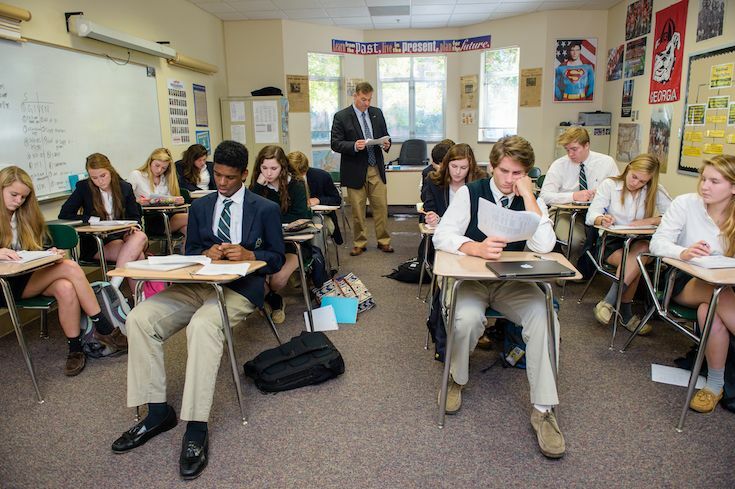 The high school offers an exciting academic program guided by Christian principles and is designed to prepare each student intellectually, physically and spiritually for college and life. With a diverse array of course offerings, a wireless campus, and each student equipped with a tablet computer, students have significant opportunities to explore their interests in a wide range of disciplines. In addition to academic pursuits, students are encouraged to participate in a variety of activities spanning the arts, athletics, service, and fellowship groups in order to become fully immersed in the community and develop their God-given talents. 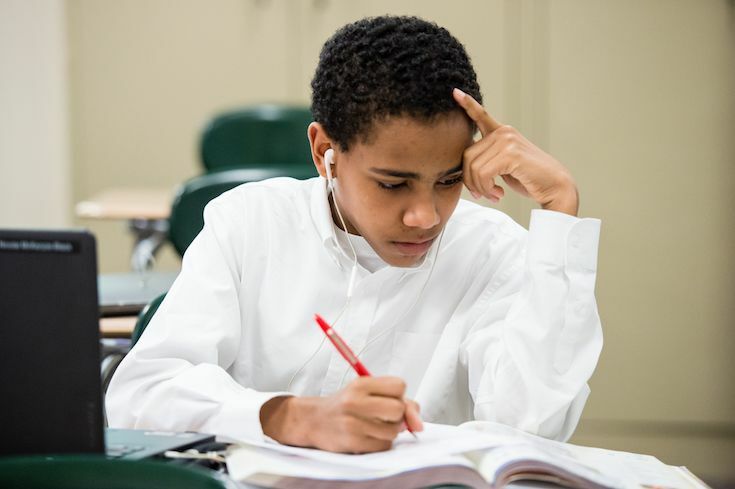 The high school seeks to be a community of joy, where faculty and students share in the learning process, and where character, stewardship, and scholarship are held in high esteem. Encouraging students to be independent thinkers, faculty members are committed to instilling in students a love of learning and a concern for others by stressing the values of honesty, integrity, and personal responsibility. Ultimately, Wesleyan challenges and nurtures students to grow into responsible citizens prepared to lead and serve in an ever-changing world. The class of 2018 was award $7.4 million in merit-based scholarships. 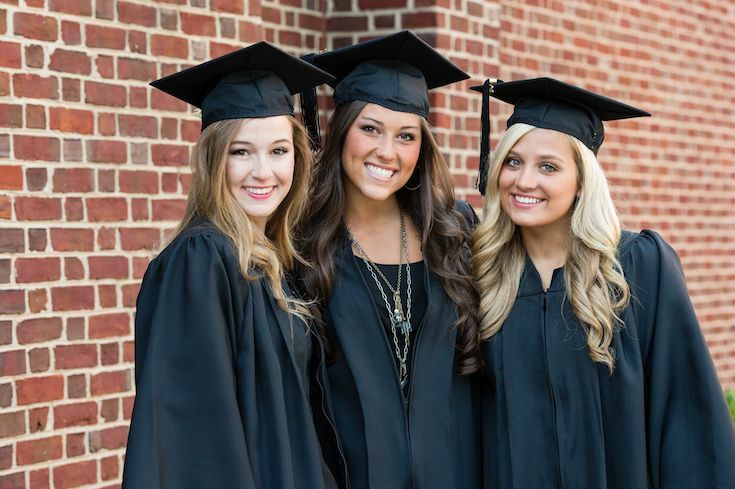 100% of students graduate and are accepted to a 4-year college or university.